I love to try and save a little money. I don't want to have to work really hard at saving money. I'm a busy gal. I have 3 kids and work. My husband works in full-time ministry and coaches high school football. I don't have time to make bread from scratch every week or walk to the grocery store to save on gas. But we do have goals. We set some big financial goals in 2008 and we are determined to hit them all. Every season is different, but I am always looking to find simple ways to save money that work for me. Maybe you are looking to cut some areas of your budget for a much-needed vacation or to pay down debt this year. I brainstormed 25 ways I have used to save money over the last 8 years. I don't do all these things currently (although #16 is my new best friend). I certainly didn't try all these things at once. I'm not that impressive. Ask my kids. But I do think saving money a little bit here and there can help you reach your goals. Every little bit helps. I have found that once you find success saving money from one area of your life, it gives you the confidence to tackle other areas of your budget. Pick one or two and see what happens! 1. USE A MEAL PLAN. We love Emeals. We have used them for almost 10 years now. I love that they can customize your meal plan based on budget, diet, and store preference. Using a meal plan helps you control your spending at the grocery store by helping you only buy what you need. It is not complicated and doesn't take me much time at all! Check out Emeals here. 2. USE A PROGRAMABLE THERMOSTAT. We had a simple programmable thermostat for years that helped us keep our gas bill under control during the winter months. It automatically turned down the heat at a certain time each night and raised it in the morning. It was great and really saved us money and I didn't have to remember to do it! A few years ago we asked for The NEST for Christmas. We love this thing! It is expensive but in my opinion worth the money! The Nest has an app so you can control the thermostat from your phone. We love this when we have been gone all day or on vacation. We can make sure our home is comfortable when we get home. It also tracks the activity of your home and raises or lowers the temperature of your home based on your families activities! Amazing. Check out The Nest here. 3. USE THE LIBRARY INSTEAD OF BUYING BOOKS. I love to read. I read constantly. It is my favorite hobby. I can't remember going to the library once when I was a kid. We always bought all our books. When we got married, we have very little money. The kids and I learned together how to use the library. Our local library has all the latest and best books. I reserve many things on my phone via the library's app. Try your local library the next time you want to read a certain book and save yourself some serious money this year! 4. STOP BUYING BOXED CEREAL. 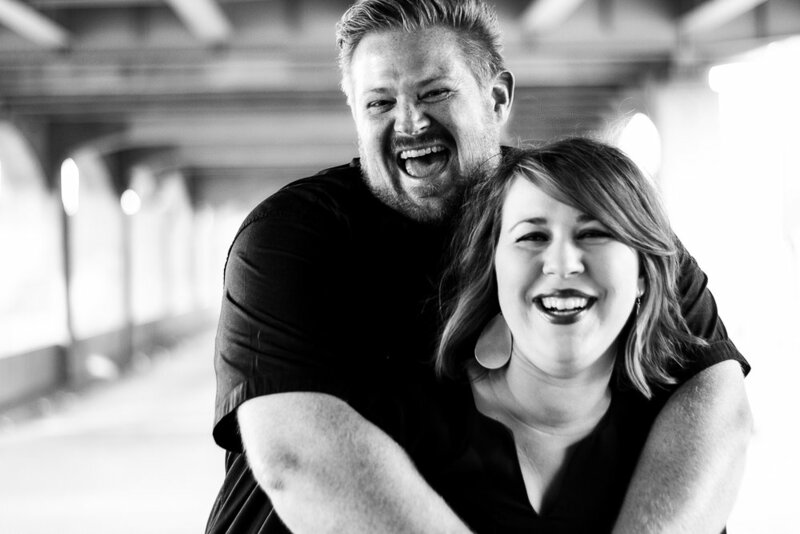 We paid off $18,000 in debt in 18 months on a limited ministry income. I did anything I could to reduce our cost of living. I quickly learned how much boxed cereal was holding us back. I learned how to make quick and nutritious breakfast options for my family that could keep our food budget on track. Cutting out boxed cereal can save your family as much as $500 this year. There are so many other great options for breakfast your kids will love. We make smoothies, peanut butter toast, eggs, and homemade granola. 5. USE EBATES WHEN SHOPPING ONLINE. Ebates is a great way to save money on your online purchases. Ebates will give you cashback on many major on-line retailers. They will also grab coupon codes and enter them into your cart for you! They will issue you a check with the cashback you received. It is an easy, no-brainer way to save. Check out Ebates here. 6. SHOP AT THREADUP INSTEAD OF BUYING NEW. Speaking of shopping online, do you check out second-hand items first? I love glancing through ThredUp first when I am looking for a particular clothing item. They have a huge collection of clothes, shoes, and bags. You can also request a bag to send all your gently used items to be sold on ThredUP. The process is super easy and earns you cash! Check out ThreadUP here. 7. STOP GYM PAYMENTS AND SET UP A HOME GYM. I am not against gym membership but I am against paying month-to-month for a gym membership you don't use. If your budget is tight and you can't afford a gym membership, consider setting up a simple home gym. It doesn't cost that much and many things you can buy on Craigslist. 8. START A SMALL CAPSULE WARDROBE. Did you know the average French woman only has about 10 quality pieces in her wardrobe? Did you know the average Amercian has on average 120 pieces in her closet, most go unworn. Save yourself hundreds of dollars this year and create a simple capsule wardrobe. How many pieces you choose is up to you! Try to pick pieces that flatter your body and can mix and match. Shop second hand when you can or use Ebates (see #5) to get cash back on more expensive pieces. Shop your closet and simplify your life while saving money this year. 9. PAY EXTRA ON YOUR MORTGAGE. We have been working on paying down our mortgage for 5 years now. Some months we can make significant payments, other months it maybe just a couple of hundred dollars. I amazed how much interest you save when you pay extra on your principal. It is crazy! It may not seem like you have much extra money to throw at your mortgage this year, but remember every little bit helps! Save yourself hundred (if not THOUSANDS) in interest payments and start chipping away at your balance! 10. GO CASH ONLY. Did you know you spend less when you pay with cash versus cards? It's true. If you are struggling to get your spending under control, consider switching to cash only. We use a simple envelope system to track spending. We divide cash into specific envelopes based on our budget. Once the cash is out, you can't buy anymore. When we were paying off our debt, we used cash for groceries, eating out, and Target runs. We recommend this envelope system. 11. NEGOTIATE YOUR LAWN CARE FEES. Every Spring, the lawn care companies start selling door to door in our neighborhood. One year, I started talking with the sales guy and asked him up front how much difference it would be to pay upfront for the year. Of course, he had to call his manager and ask because people don't ask to pay up front or ask for a discount. To my surprise, we did save big money! We also got 15% off our bill for paying up front. Negotiate with your lawn care company and see what discounts they offer! 12. CANCEL CABLE AND SWITCH TO HULU AND/OR NETFLIX. Our last cable bill was $250/month. Not kidding. We got into this particular company on a $99/month sale. The contract was for one year. When that contract was up, we called and tried to negotiate. They wouldn't budge and started increasing our payments. When our monthly bill reached $250/month, I called and canceled. I was done. We haven't had cable service in almost 10 years. We signed up for Hulu and Netflix. We love them both. We don't miss a thing. 13. LEARN HOW TO DO BASIC CAR MAINTENACE. Learn how to do basic car maintenance on your own. Brad has learned how to change the oil on my car. We buy parts online all the time to save money. Youtube is your friend. Lots of mechanics have some great videos for your particular car. Search your make and model and learn a new skill! 14. BUY GLASSES ONLINE INSTEAD OF RETAIL STORES. Buying glasses has changed a lot in the last few years. Online retailers have changed the eyeglass industry in many ways. (I have a list of all the places I look for glasses on-line here). If you don't have insurance, buying glasses online maybe a better solution for you. If you do have insurance, do your homework. Ask for a quote from your doctor's office. Compare that to what you could buy online and then make a decision. Shop around, in your community and online for glasses to get the best deal. 15. BRING A LUNCH. Eating out for lunch is convenient and fun. I grab lunch out a few days a week. I pay for the kids to eat lunch at school one day a week too. They love it! But one way we save serious cash is to pack our lunch. We plan lunches each week with our dinners. 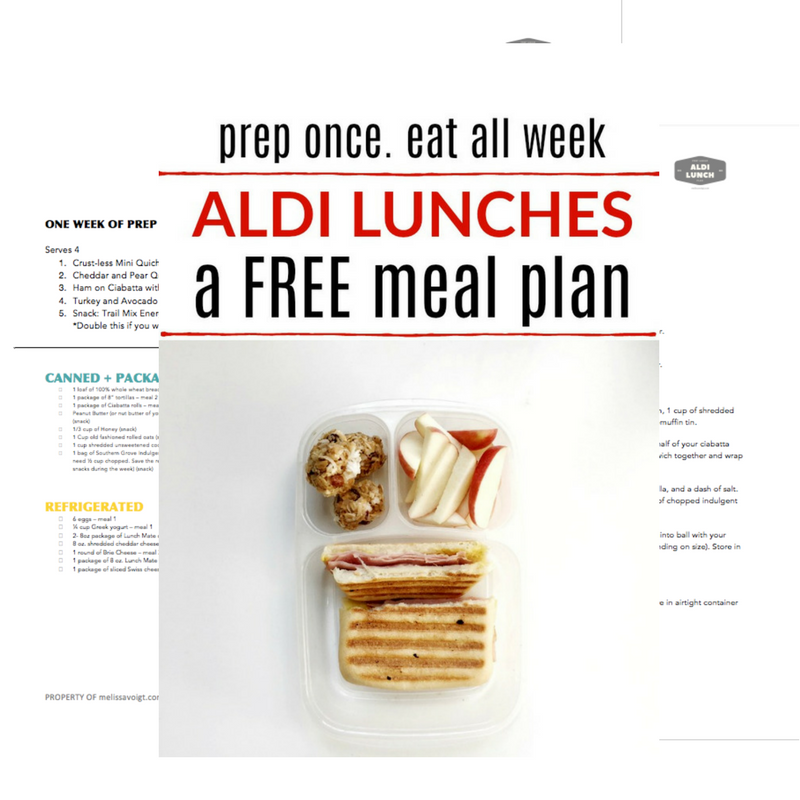 We strive to make quick and healthy lunches that don't require a ton of prep. Leftovers make great lunches! 16. MAKE MORE SOUP. This past January was insane. We had more things during dinner time than I thought was humanly possible. It was so tempting to eat out. I ended up making a big pot of soup the day before a crazy night (or early in the morning). Depending on the soup, I let it simmer all day in the crockpot or reheated it later. We all came home to a real meal. Soup is inexpensive and filling. Find two or 3 soup recipes your family loves. Pull those out on busy nights when you might be tempted to go through the drive-thru! 17. LEARN TO FREEZER COOK. I've never been a huge freezer cooker. I know women who will spend a day making and freezing a month worth of meals. I love the idea, but it has never been a practical option for me. Instead, I have a few basic things I try to make and freeze while I am cooking something else. I figure I am already in the kitchen. Why not prep another meal? It works for me. One of my favorite freezer cookbooks is Not Your Mothers Make Ahead Freezer Cookbook. It is perfect for lazy freezer cooking people like me. 18. SWAP CHILD CARE COSTS WITH A FRIEND. Do you have a friend with kids similar in age to yours? Take turns watching each her kids for a date night or some much needed alone time. I just learned about the babysitting app Komae. Brilliant! If you have little kids at home go here and listen all about this brilliant way to share babysitting costs with a friend. 19. USE EBAY FOR YOUR NEXT VACATION. Did you know you can purchase condo rentals for timeshare owners at a fraction of the cost from Ebay. My good friend Tanya wrote all about this brilliant travel hack here. Renting a timeshare is more practical than a hotel, especially if you have kids. You can save a ton of money renting a condo from timeshare owners. Find out more here. 21. SHOP AT ALDI. Aldi is my secret to cutting food costs. I started shopping at Aldi almost 10 years ago. Now that my kids are entering the teenage years, I am so grateful for Aldi. It keeps us full and under budget. Aldi saves me as much as $100/week on food. I love how small the store is and the quality of their food is the same as any grocery store in town. If you don't have an Aldi near you, check out other discount grocery stores. You may be surprised at what you find. 22. DITCH THE BOX. Premade, boxed food is convenient. On busy nights, using premade is better than running through a drive-thru. I do that all the time, but start learning how to make things from home. Homemade tastes much better than premade things. We make our own pizza, spaghetti sauce, rolls, granola, and (sometimes) yogurt! Learn one thing at a time until making it is second nature. You'll be amazed at how much better it tastes and how much money you can save. 23. TEACH YOUR KIDS. Get your kids involved around your home. Teach them how to do basic things you might pay someone else to do. Our kids do the majority of our lawn work. Our kids know how to prepare basic meals and freezer items for the week. Our kids can start dinner while I am busy running errands. I can do what needs to be done and avoid the drive-thru! Be patient and slowly teach them skills to be a helpful member of your home! 24. CHOOSE HANDMADE. Instead of buying retail, consider handmade. Choose meaningful handmade gifts over a store bought items. Learn a new skill and make something you want for your home. A simple Pinterest search can teach you all kinds of things about how to DIY anything from home to crafts. Our kids make each other handmade gifts for Christmas. We recently make a new dining room table I love. The best part, we saved $3,000. It took time, but it is worth it! 25. TRACK YOUR SPENDING. If you are trying to pay down debt or reach a big financial goal this year, take some time to track your spending. Often times, we don't know where are money is going until we track it. Getting your spending under control can save you hundreds, if not thousands of dollars this year! This year I am using Jessi Fearon's Real Life on a Budget Planner. Check it out here. Saving money doesn't have to be time consuming or boring. Start small. Pick one or two things you could easily add into your weekly routine and see what happens. Let us know what YOU do to save money!